(b) Engage the 2 guides to install the clearance warning ECU assembly. 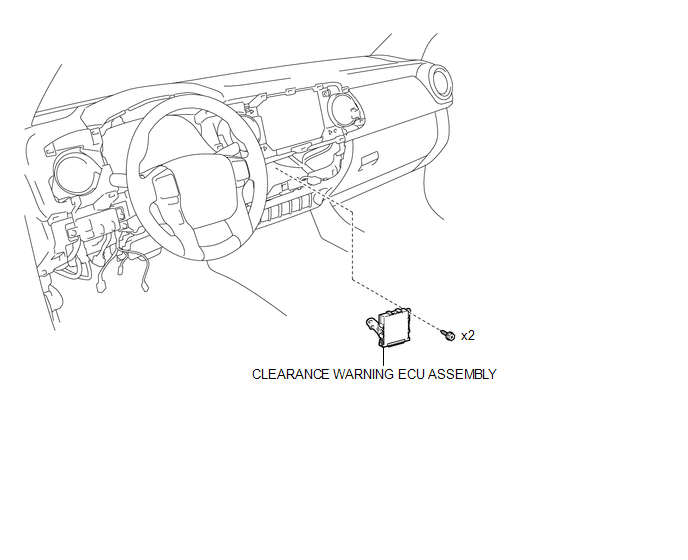 (b) Disengage the 2 guides to separate the clearance warning ECU assembly. 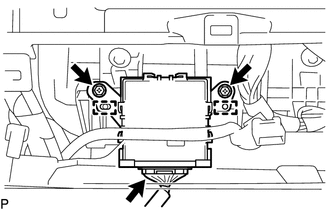 (c) Disconnect the connector to remove the clearance warning ECU assembly.